Philadelphia’s Restaurant Week is often cited as one of the most anticipated weeks of the year. All of the high-end Center City restaurants reduce their normal menu pricing to an affordable fixed-cost menu for patrons who cannot afford to eat at these places regularly, which has the added benefit of enlarging their customer bases. My choice of restaurant is actually better known in New York City more than anywhere else. Serafina, a name known in the tri-state area for its upscale Italian fare, opened in Philadelphia about seven months ago and takes after the three sensational locations in New York City. 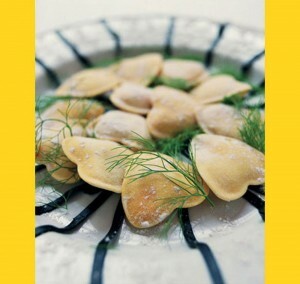 What first struck me about Serafina was not just the price but also the youthful ambiance and vibe. The restaurant gives off the feel of a five-star restaurant in an Italian style. Located half a block off of Rittenhouse Square, Serafina Philadelphia has the one of the best possible locations in the area for foot traffic, making walk-in customers a big part of their business. Known for its Italian style, Serafina participated in Philadelphia’s Restaurant Week. The restaurant is located at 130 S. 18th St. in Rittenhouse Square. There are also three locations in New York City. While the prospect of Restaurant Week definitely increased the overall occupancy of the restaurant, the prices of the cost-fixed menu were about the same as the normal menu, give or take a dollar. The Restaurant Week menu provided the choice of their Italian Caesar salad, fried calamari or soup of the day for an appetizer. For the entree portion there was a choice of their famous chicken paillard, spaghetti Bolognese or a steak sirloin. The dessert selection included tiramisu or a chocolate cake. My meal combination was among the best: Caesar salad, chicken paillard and chocolate cake. Everything was cooked to perfection and gave me the satisfaction I was looking for. Each bite was a full blast of flavor and enjoyment. All I wanted was more. I have been to a Serafina location in New York once before for its mouthwatering selection of pizza. Prepared with the freshest ingredients and baked in cherry wood-fired ovens, they really do satiate your pallet at a price that won’t make you agonize over pulling money out of your wallet. The last thing a person wants, especially a college student, is to worry about the cost of a meal, and Serafina knows it. In the restaurant industry you learn that the customer is always right. The owners of Serafina really know how to make the customer happy, which is one of the reasons their small chain of restaurants is so successful. Serafina has three locations in New York City, one in White Plains and one in East Hampton, all occupying prime real estate in their settings. One of the newer locations, besides Philadelphia, is actually in the bustling metropolis of Sao Paulo, Brazil. As a business student who has worked in the restaurant business for multiple years, I take careful notice to the way a restaurant is run. The wait staff is timely, customer-friendly and more than professional. The whole restaurant atmosphere makes a customer feel welcome and at home as it should. Serafina proprietors Vittorio Assaf and Fabio Granato have achieved a dream any restaurant owner prays for: success! My experience at Serafina is one I won’t forget. The food was spectacular, the service was speedy and professional, and I give my meal a 10 out of 10. It’s hard to find a restaurant that will meet all of your needs, but Serafina really gave me everything I could ask for and more. My meal was worth every penny, and I am more than glad to give them my business and give a stellar recommendation to others. Eating is not just a hobby of mine; it’s a lifestyle. I am never wrong when it comes to a restaurant recommendation. Sit down at Serafina and you won’t think twice.